Maine Lobster – Real lobsters come from Maine! 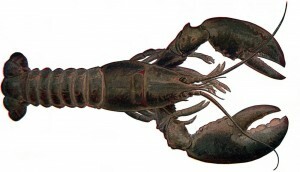 The true Maine lobster is a cold water lobster, known officially as Homarus americanus (literally, “American Lobster”). Cold water lobsters, which are distinguished by their two large claws, have whiter meat than warm water lobsters, and they are what people think of when they talk about Maine lobster or Boston lobster. The Maine lobster is a crustacean with five sets of legs and two large claws; a larger crusher claw, and a smaller ripper claw. They are found in the cold waters of the Atlantic coast from the Canadian Maritime provinces as far south as the Virginia and North Carolina, but are most common — and famous — in the waters off Maine. About half the catch of cold water lobster in North America comes from Maine. Maine lobsters are available as hard shell lobsters, which are generally purchased as live lobsters for delivery, and soft shell lobsters, or shedder lobsters, which are are sweeter, but contain less meat and cannot survive long-distance shipping, and so are generally eaten only close to where they are caught. A real Maine lobster is a very different creature from a warm water lobster, which is often used for frozen lobster tails. 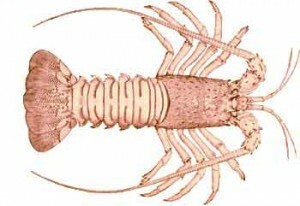 Warm water lobsters, sometimes known as spiny lobsters or rock lobsters, are not actually closely related to the cold water lobster. Sorry we can’t help… since obviously we love seafood as much as you do! I,m traveling to PA, from northen Maine would like to take some lobsters with me, where could I get some right off the boat, on the way? ARE THE FEMALE LOBSTERS BETTER FOR EATING THAN THE MALE LOBSTERS AND WHAT IS THE DIFFERENCE. I wonder where can i import the Boston Lobster? Can anyone tell me that? SeafoodDemand.com is established in August 2011 with purpose is help all people/companies around the world, who would like to buy or would like to sell seafood products, have a perfect website for trading. How can I order lobster, crabs, shrimps clamps to my home.